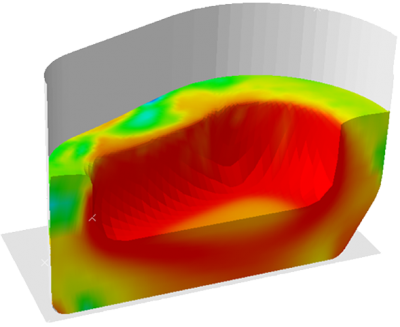 Computer modeling and simulations can drastically lower the cost of creating a new manufacturing product by generating and evaluating a simulation in a fraction of the time it takes to build and test a prototype. Computer models and simulations are important tools for manufacturers, but the startup costs for high-end computing can be prohibitive for small- and medium-sized manufacturers. That’s where the Connecticut Manufacturing Simulation Center (CMSC) comes in. We offer access to high-end simulation and modeling technology to Connecticut manufacturers to promote innovation, economic growth and next-generation workforce development.The CMSC was established through a partnership between UConn, Connecticut Innovations, and the United States Economic Development Administration. We have capabilities in modeling a variety of manufacturing processes such as sheet metal forming, hot press forming, welding, stamping, casting, injection modeling, and machining. We also offer training to students and professionals.